UNITED NATIONS, Jan 18 2019 (IPS) - From expansive evergreen forests to lush tropical forests, the Earth’s forests are disappearing on a massive scale. While deforestation poses a significant problem to the environment and climate, trees also offer a solution. Tropical deforestation alone accounts for 8 percent of the world’s annual carbon dioxide (CO2) emissions. If it were a country, it would be the world’s third-biggest emitter, just behind China and the United States of America. 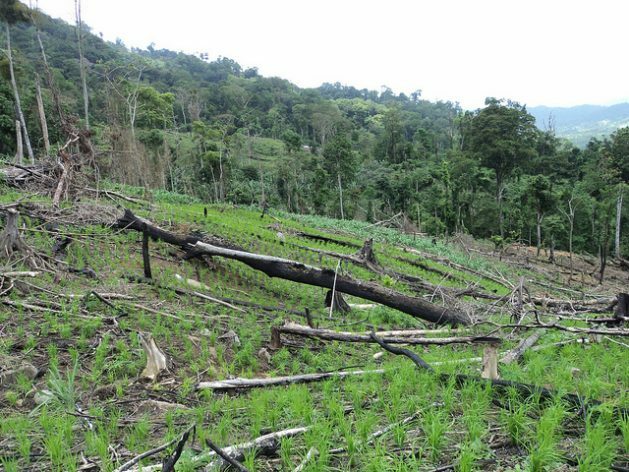 The United Nations Programme on Reducing Emissions from Deforestation and Forest Degradation (UN-REDD) is among the international groups working to reverse deforestation. It supports countries’ REDD+ processes, a mechanism established to promote conservation and sustainable management of forests. Tim Christophersen: The rate of deforestation has slowed since 2000 globally. At some point, it had even slowed by about 50 percent. We still have a lot of deforestation—it’s just that the rate has gone down so that’s partially good news. IPS: What has UN-REDD and REDD+’s role in this issue? What are some successful case studies or stories that REDD had a direct role in? But it has only received about 3 percent of climate finance so there’s a huge mismatch between the opportunity that natural solutions provide and the funding that goes into it. If we lose those forests, that would have detrimental impacts on a lot of people’s drinking water supply. It can often be cheaper or at least more cost-effective for cities, provinces or nations to invest in keeping and restoring their forests rather than other solutions for water purification or drinking water supply. TC: Planting trees is never enough because trees are a bit like children—it’s not enough to put the in the world, you also have to make sure they grow up properly. That’s often overlooked that you cannot just plant trees and then leave them to their fate. Because often the reasons for landscape degradation, for example overgrazing, will very quickly eliminate any trees that you plant. So it’s more about a longer-term, better natural resource management. The biggest part of corporate interest we see in restoration is from large agri commodity investors and food systems companies because they want to secure their supply chains and that’s quite encouraging.